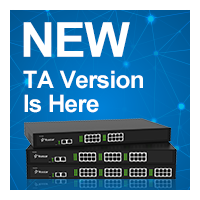 After months of development, the Yeastar S-Series PBX Firmware 30.1.0.7 is now available. This update introduces changes that improve our ability to a number of useful new features and squash pesky bugs, since firmware release 30.0.0.40. One of the most noticeable changes we made in the new firmware is the new app. Enter App Center, you will find the new App Conference Panel. This Conference Panel could realize all conference management based on Web. You can initiate and administrate a conference on Web. The Shared Line Appearance (SLA) feature helps users share VoIP trunks and FXO trunks. It also helps monitor the status of the shared line. When an outgoing call is made by the user, all members in the SLA group are informed about the call and will be blocked from this line appearance until the line goes back to idle state or the call is put on hold. When an incoming call is received, all the members are informed of it and may join it depending on the line appearance linked with the SLA extension. If you choose Single mode, only LAN port will be used for uplink connection. WAN port is disabled. The default network mode is Single. On the upper-right corner, you can see the new added Notification icon and Recourse Monitor icon. Click to check news and alerts, click to check the PBX information, network status and storage status. Web alert when the PBX power is off or the PBX is off-line. If the PBX power is off or any problem of the system network, a dialog will display on the webpage to inform you. Added SIP “Jitter Buffer” settings. Jitter is the variation in the time between packets arriving on a VoIP system. These variations can be caused by network congestion, timing drift or route changes. Jitter buffers are used to counter delay or latency, dropped packets, and jitter. They temporarily store arriving packets to minimize jitter and discard packets that arrive too late. Configure the Jitter Buffer settings on S-Series PBX will improve the call quality through VoIP. Support for importing and exporting extensions. You can export an extension file from the PBX and use it as a sample to start with. The file format is csv. Support for the following Tone Regions: Turkey, Korea, Serbia, Panama. We add the new support for the tong regions including Turkey, Korea, Serbia, Panama. Users can select the tone region according to the S-Series PBX location. Support for Spanish Web User Interface language. Users can switch the web language to Spanish. Conference status on PBX Monitor panel. Click PBX Monitor, here you can monitor the conference status. “Echo Cancellation” setting on GSM/3G trunk and FXO trunk. Check the option “Echo Cancellation” to enable echo cancellation for the trunk. Support for registering SIP trunk with random SIP port. The random port in the port range will be used when sending packets to SIP server. The default range is 5062-5082. If you do not change login password and set up an email, the system will remind you to do the configuration every time you log in. Administrator account (admin) Password has a 8-63 character limit; the password must contain uppercase letters, lowercase letters and numbers. Extension account Password has a 6-63 character limit; the following characters are not allowed: &; ” ‘ \ < > |. 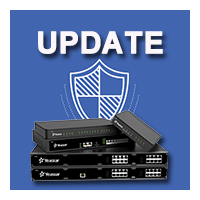 Your S-Series PBX’s system prompts would be updated to the newest version automatically after firmware upgrade. If you change the system service port (like FTP, HTTP, SSH etc. ), the system will remind you to reconfigure the firewall settings. AutoCLIP routing could match incoming numbers with area codes and special character “+”. Added “SMS to Email” and “Email to SMS” failure records in Event Log. For Logs Auto Cleanup, the “Logs Preservation Duration” setting is for system logs, the “Max Number of Logs” setting is for operation logs. The callback list will display each callback’s detailed destination. The system will log you off from the web if you do not do any operation on the S-Series PBX web GUI in half an hour. Added CPU temperature information in system logs. Fixed the DNS SRV Lookup issue: if the DNS SRV analysis result was a domain, a VoIP trunk registered using the domain would not work. Fixed VoIP Trunk issue: if entering an IP address in the “Hostname/IP” field and entering a domain in the “Domain” field, the trunk could not be registered. Fixed the queue ring strategy issue: if a queue agent has registered his own extension number on multiple phones, incoming calls could only reach one of the agent’s phones. Fixed the compatibility issue with VoIP provider netelip. Fixed the issue that sending email to SMS would fail if the content exceeded the length limit. Fixed the issue that the system would automatically make outbound calls through FXO trunks. Fixed the Event Center issue: WAN port failure was not recorded in the event logs. Fixed the dual mode network issue: if one Ethernet port used VLAN, the other Ethernet port could not work properly. Fixed the IE11 compatibility issue: users could not play recording files on PBX web GUI. Fixed the Holiday issue: the holiday worked based on Time Zone GMT +0. Fixed the E1 trunk issue: the call quality was bad when using the E1 trunk. Fixed the Event Center issue: the event center repeatedly recorded SIP trunk registration failure. Fixed the Call Log issue: if you configured DOD numbers on a SIP trunk, and made outbound calls through the SIP trunk, the “Call From” value would be wrong in call logs. The Yeastar S-Series PBX Firmware 30.1.0.7 updates some Apps with new features in APP Center. Added support for importing and exporting LDAP contacts. Fixed the issue that if you reset the system, Auto Provisioning could not work properly with TFTP server. 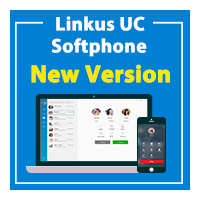 Check for new update in your S-Series VoIP PBX Web interface.